"Because we share interests and concerns, and we want to know firsthand the concerns of professionals in the sector, we collaborate in projects events where Architecture is the focal point. Therefore, following the sector's good reaction last July as collaborators in the IV Architects of Spain Congress in Valencia, we will be a Platinum sponsor of the I International Congress on Sustainable Architecture". "At the Congress, we will establish dialogue and reflection on the subject block: Architecture and sustainable design; flexible furniture, taking place on Friday 13th at 11 a.m., to discuss sustainable architecture and building in the 21st Century. The guest speakers in the roundtable discussion include architects of great prestige such as José María Tomás Llavador and Felipe Pich-Aguilera Baurier among others, and designers of the stature of Marcelo Alegre and Pedro Feduchi. Furthermore, Actiu will have its own stand to show industry professionals the different solutions to equip work spaces, collective environments and for project management", according to the executives of the company. 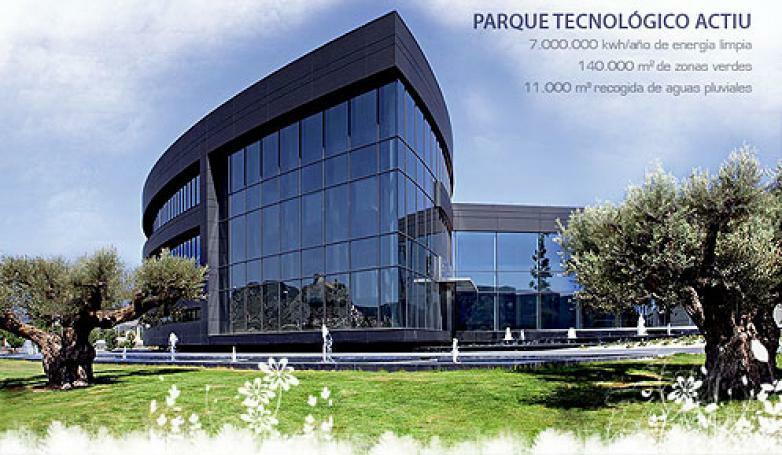 Coinciding with its 40th anniversary and following a fast and brilliant process of internationalisation, since the inauguration of its premises, the Actiu Technology Park, in November 2008, Actiu has shown unbending faith in the industrial future of Europe and a determined commitment to sustainability and talent as the best motors for competitiveness. This Technology Park, created with passion and logic, and internationally renowned for its architectural values and sustainability, will be a point of research and innovation, a space for meetings and debate between architecture, design, economics, engineering… A territory born from common endeavour and destined to promote both individual spark and collective intelligence. Furthermore, from 6th to 12th November, Actiu is also taking part as a Silver Sponsor in the "International Federation of Interior Designers and Architects" Congress, taking place in Dubai where, together with architects and designers from over 45 countries, we will listen to speakers such as Bofill, Sugimoto and Conran talking about the present and the future of these sectors.